I’ll show you how to make powdered sugar, aka confectioner’s sugar, so you’ll never run out when making any of my baking recipes! 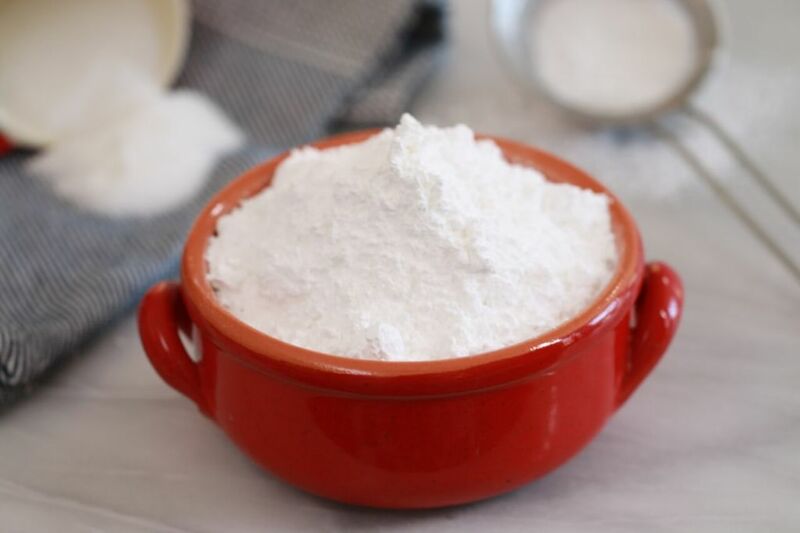 Did you know that powdered sugar, also known as confectioner’s sugar or icing sugar, is just blended sugar? It’s true and it’s that easy. You know those times when you want to make buttercream frosting and halfway through you realize you have no powdered sugar? Well, worry no more because my recipe for How to Make Powdered Sugar is coming to the rescue. Then add in the granulated sugar and cornflour (cornstarch). The cornstarch is important as it keeps the sugar dry. Next, blend it all together until fine, around 4-5 minutes. Stop, and stir with a spatula to make sure to mix it around so that it is all getting blended. Store your Homemade Powdered sugar in an airtight container and it will keep indefinitely. Don’t Miss a New Recipe! Get my FREE Weekly Email Newsletter. Add in the sugar and cornflour/cornstarch. The cornflour is important as it keeps the sugar dry. OH man, I’ve been there! I can get my icing sugar to look exactly as it should, i.e, powdery, but even after 10 minutes of whizzing in my blender, scraping it down and mixing it up, it always feels grainy. My blender is connected to a new 1200w mixer so there’s plenty of power. The sugar is usable but never as silky smooth to the touch as say, Tate & Lyle icing sugar. I’ve also got a basic Kenwood food processor but the manual says not to grind sugar or coffee beans. I might risk it though. I’m wondering if it would refine the sugar better then the mixer? The blades are completely different of course in each machine. the problem with a blender is the capacity, it tends to do small amounts better than large amounts of anything, apart from liquids. I think you could try your food processor. I suspect the instruction is meant for a rock type sugar such as Jaggery, you know the one we get in good coffee shops, a large crystal. The fine table sugar should not be an issue for the processor. It is worth a shot! do not overwhelm the machine though, I suspect it will be fine, or grand, as we say in Ireland!